Do you always worry about cooking for your family because there's no one at home to finish the food? Or are you a hungry foodie who's sick and tired of the same take-aways from your neighbourhood coffee shop? 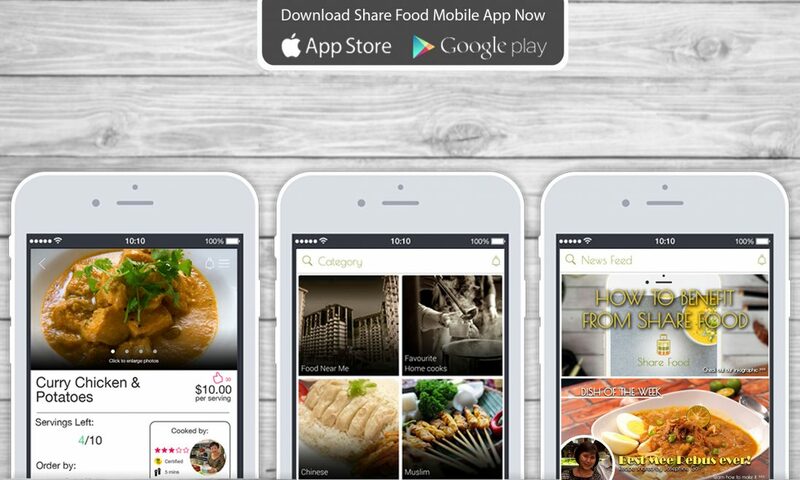 Share Food’s free mobile app allows you to buy, sell and share home cooked food at your convenience. The app is location based so you can launch the app anytime, anywhere to find home cooked food near you. Best of all, every dollar you earn is yours to keep because Share Food takes no commission from our home cooks. Finding home cooked food is simple with Share Food's free mobile app. Available free on the Apple App Store and Google Play Store on 14th November 2016.